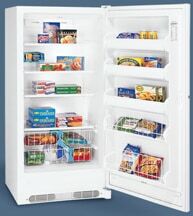 Most refrigerator/freezer makers also produce stand-alone freezers. Here’s a roundup of the offerings from five of the top manufacturers: Frigidaire, GE, Kenmore, Maytag, and Whirlpool. 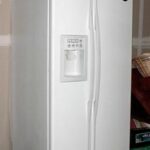 If you have a space that’s tall versus wide, you have two good choices of Frigidaire upright freezer. Capacity-wise, they are exactly the same. Both have 17 cubic feet of storage space and the same dimensions (64 1/2 inches in height, 32 inches in width, and 26 1/2 inches in depth). Both models have an automatic frost-free feature (there is also a model with manual defrost, which runs $580). The bells and whistles are the major difference between the two—one model costs $699; the other $599. What are you getting for that extra $100? A temperature alarm system (alerts you with a light and a buzzer if the freezer’s interior temperature becomes unsafe for proper food storage), a lock with pop-out key (keeps your freezer door shut and securely locked with a key that automatically ejects for child safety), and an extreme freezer (allows you to quick-freeze meats, poultry, produce, and dairy products to lock in flavor and minimize the risk of spoilage). It also includes a digital display mode, digital controls, and a door-jam alarm. When it comes to chest freezers, the Frigidaire with the 13-cubic-foot capacity (shown at left) with manual defrost and drain, adjustable temperature control, a power-on light, and two Stor Mor lift out storage baskets comes highly recommended. This freezer ranks high for a reduced noise factor, energy efficiency, and temperature performance. Your space needs to be 42 inches wide, 35 inches high, and 29 1/2 inches deep. 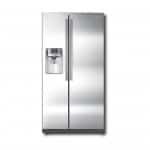 This freezer is Frigidaire’s best bargain for large chest freezers at $430. For small chest freezers, Frigidaire offers a “baby,” a 5-cubic-foot freezer for only $230 that has an adjustable temperature control and power-on light. Its dimensions are 27 inches wide, 34 inches high, and 23 inches deep. All Frigidaire chest freezers are manual defrost. General Electric offers three different uprights, all listing at $599. The first model has a 20-cubic-foot capacity with manual defrost but no adjustable temperature control, lock, interior lighting, nor recessed handle. It is 70 inches in height, 28 inches in width, and 32 inches in depth. The other two uprights offer automatic defrost but are smaller, at 16 cubic feet. 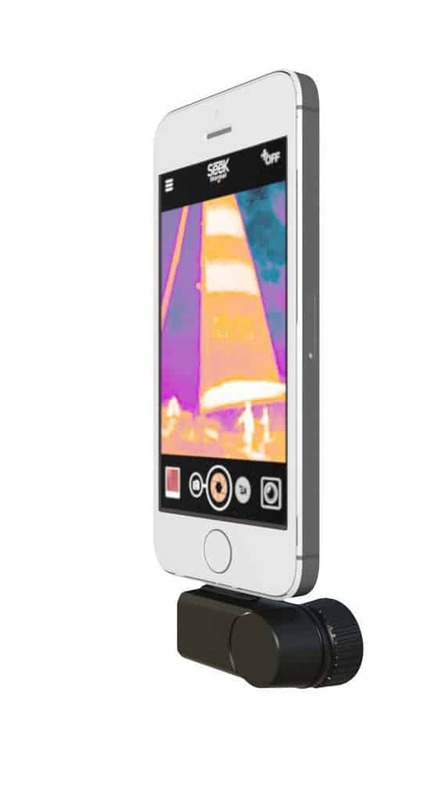 Both have adjustable temperature control, a lock, and interior lighting. Dimensions for these models are 64 inches in height, 32 inches in width, and 26 inches in depth. One has electronic controls with a reach-through handle. The other one doesn’t but does have a recessed handle with a bulk slide-out storage basket. 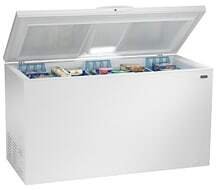 GE chest freezers, all with manual defrost, have the most variety to choose from, ranging in size from 24 cubic feet to 5 cubic feet in capacity and $819 to $199 in cost. There are 11 choices in all. The middle-of-the-road version is the best bargain at $490, with a 14-cubic-foot capacity, four baskets, adjustable temperature control, a power-on light, lock, and interior light. It requires a space 48 inches wide, 35 inches tall, and 29 inches deep. The best bargain for a “little guy” is the 5-cubic-foot chest for $199, which has adjustable temperature control, one basket, a power-on light, and a recessed handle. It is 28 inches wide, 33 inches high, and 22 inches deep. Kenmore’s unusual black stainless-steel, 13-cubic-foot upright freezer is frost-free, has electronic temperature controls, a power-on light, lock, eight shelves, and a slide-out basket. It is not Energy Star certified and has no temperature alarm. It is 59 inches tall, 28 inches wide, and 28 1/2 inches deep; it lists at $519. The Kenmore upright freezer with manual defrost has a 20-cubic-foot capacity but no temperature controls, no digital displays, no temperature alarm, and is also not Energy Star certified. It lists for $599. The 20-cubic-foot upright option is frost-free and Energy Star certified, has a quick-freeze option, digital display controls, lock, temperature alarm system, four glass interior shelves, and two slide-out baskets. It lists for $699. Both 20-cubic-foot uprights are 70 inches tall, 32 inches wide, and 28 1/2 inches deep. The Kenmore 24-cubic-foot chest model (shown at right) offers three lift-out baskets, a quick-freeze feature, digital display controls, a frost indicator button, lock, and temperature alarm. It is Energy Star certified and lists for $729. For the best bargain in a Kenmore chest freezer, look at the 13-cubic-foot model, which lists for $569. It is the only chest freezer with automatic defrost, but it doesn’t have a temperature alarm nor is it Energy Star certified. It comes with a lock, a power-on light, two slide-out baskets, and four lift-out baskets. Maytag’s upright is a 15-cubic-foot freezer for $579. It has a fast-freeze setting, defrosts automatically, has controls that adjust the temperature, and a keyed lock. 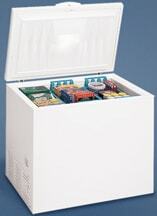 Two types of chest freezers are offered: a 21-cubic-foot for $559 and a 14-cubic-foot for $429. The larger model has two baskets and a keyed lock on the outside; the smaller one is Energy Star certified, with a keyed lock and exterior mounted temperature control. Both are manual defrost. The upright freezer offered by Whirlpool is a bit smaller than most uprights, at 61 inches in height, 30 inches in width, and 31 inches in depth. It comes with lots of bells and whistles: It is Energy Star certified, frost-free, has an adjustable temperature control, a temperature monitor alarm, a fast-freeze feature, an interior light, a power-indicator light, and eight interior shelves (three removable) and five door shelves. This model is also icemaker ready if you have a water hook-up. The price is $549. For $449, Whirlpool’s chest freezer is Energy Star certified and has a temperature alarm, adjustable thermostat, power-indicator light, key-eject lock, interior light, commercial-rated power cord, and four baskets. Your space needs are 46 inches in width, 34 inches in height, and 29 1/2 inches in depth. Like most chest freezers, this model has only manual defrost.